If you've ever been to a fundraising event, you likely cruised the silent auction tables and watched (perhaps in amazement) as an autographed football jersey sold for $500 in the live auction. Auctions are one of the most fun and profitable ways for organizations to raise money. But a charity auction is also a lot of work. Whether your event will feature a silent auction, live auction, or both, you’ll need careful planning and savvy strategy to bring in top dollar. In addition to auction item donors, recruit sponsors to help cover event costs because, ultimately, “top dollar” really means net income. There are so many details to keep track of, and failure to do so can affect how much you raise and cause accounting or even legal problems. You have to track every item, every dollar, every donor, every buyer. Specialized software makes everything go faster, easier, and more accurately. You’ve got this! 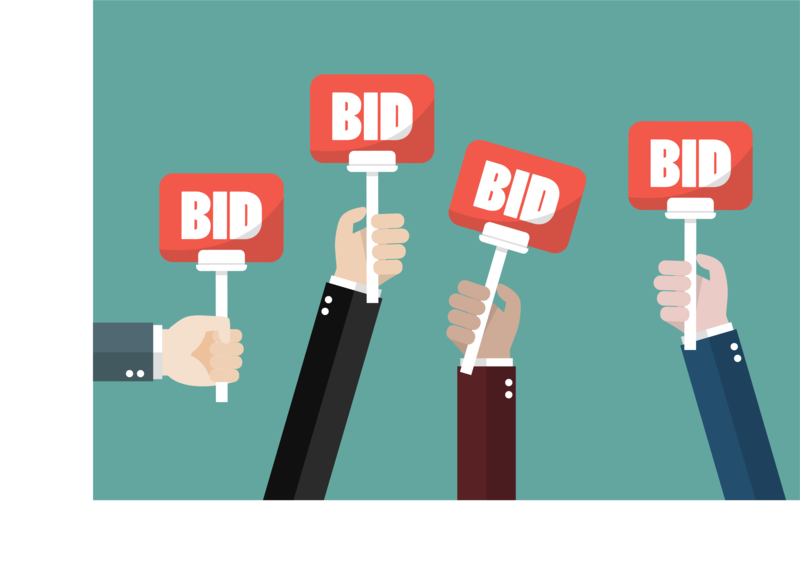 Auction software, which you can purchase or rent, can also allow you to offer mobile bidding instead of using paper bid sheets, or to conduct an online auction alongside your event or as a separate fundraiser. This requires knowing your audience demographics, especially income level, and knowing about their lifestyle/interests. Ask what they’d like to bid on! People are there to support your charity. If they’re planning to purchase a big-ticket item, often they would rather purchase it at your auction than from a store, so the organization gets the money. This simple trick can guide you to a wide price range of must-have items for silent and oral auction. The rule of thumb is no more than half as many items as attendees. Too much stuff is stifling in every way, whereas the sense of “shortage” fuels competition. Be especially mindful of this for the live auction, as it is your finale. Save only a few most valuable or flashy items for this, and end the event on a big note before bidder fatigue sets in. Since You’ve Got it, Flaunt it! People are coming to support your organization, but what’s on the auction block is a major draw. Get folks jazzed up and buzzing well before the event by announcing juicy new items as you procure them. Post announcements on your website, on Facebook, in tweets, and via email. As the event nears, publish a “hot sheet” that lists your most tempting goodies (as well as a couple of perennial favorites). Arrange silent auction tables for comfortable traffic flow all around (people can’t bid if they can’t get near the items). Divide them into three or four sections (marked with different colors), and group items loosely by dollar value. Don’t overcrowd them on the tables. Close sections progressively, about 15 to 30 minutes apart, starting with the lowest-priced section and ending just before it’s time to sit for dinner. Display live auction items in a separate area where people can see them up close. However, someone should model very fine jewelry while mingling among the crowd. Unless your auction is very small and informal, or unless you have a devoted volunteer who is as good as a pro, hiring a professional auctioneer will dramatically boost sales. Use a well-known, committed volunteer or two to emcee the event, working with the auctioneer. And speaking of volunteers, you’ll need greeters, silent auction monitors, oral auction spotters, plenty of cashiers, and a cadre of people behind the scenes gathering purchased items for their buyers. Of course, it all starts with your procurement team — folks who are not shy and have good connections. Thank attendees, thank volunteers, and above all, thank your donors. Tell everyone how much money was raised, so they can feel the love and celebrate your success. If a donor’s item racked up an extra-impressive winning bid, tell them that as well. At the end of the night, all your hard work will pay off and everyone will be excited they helped a good cause. Good work, everyone!